Do you ever have weeks on end where you're working on the same thing every-single-day? Well you're in luck because you can copy/paste all the entries you want! 1. ) Use the key ALT + Clicking and dragging your mouse cursor across the days. Your Entry will copy right on into the day! 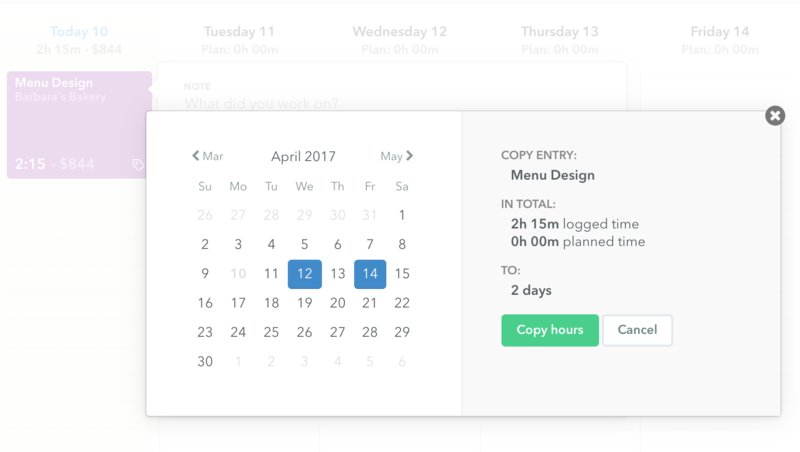 Saving you loads of time from not having to create each entry ever single day. 2.) Use the "Copy" button on the entry. Then, choose which day you'd like to have the duplicates fall on. 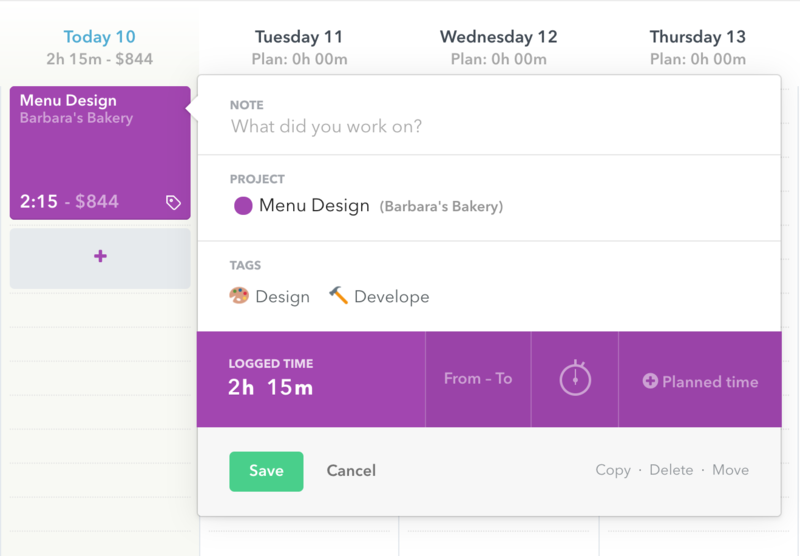 If you're working on the same thing multiple days at a time, this is a great tool to use when optimizing planning or even logging your hours.